The City of Seattle announced that it is buying more than 5,000 hours of added service on nine high ridership bus routes in Seattle. The Metro will be able to increase evening and weekend frequency on high-ridership routes from 30 to 15 minutes or from 60 to 30 minutes. The Seattle City Council released a list of mid-year transportation spending priorities, which includes increased funding for immediate safety and mobility needs. King Country Metro Transit will replace much of its trolley fleet with new all-electric New Flyer coaches, which use about one-third less energy to power. The new coaches, which will make up about 10 percent of the entire fleet, will be on the streets by 2015. Waterfront Seattle will share their street design and local waterfront transit updates on Wednesday, June 26 15 5:30 pm at the Washington State Convention Center. Treehugger explains the findings when Urban Greenprint, a methodology that looks to nature to unveil solutions, is applied to Seattle. A series of satellite-based animations shows the impact of 30 years of urban sprawl in cities like Dallas, Shanghai, Atlanta, and Chicago. The time-lapse videos also shows the effects of deforestation in Lagos, Nigeria. Google has patented a new street-view walking stick, which has mounted camera taking pictures each time the stick strikes the ground. The New York City Transportation Chief has made it her goal to add more green, public spaces to the city to expand the number of places people can gather. Janette Sadid-Khan explains that despite some resistance, she wants to provide citizens with new ways to get around the city. The number of visits to the emergency room for injuries from distracted walkers reached over 1000 in 2010. People between the ages of 16-25 were most likely to be injured while using their cell phone and walking, but surprisingly, talking on the phone was found to be more dangerous than texting. The American Public Transportation Association found that nearly 74 percent of Americans support using their tax dollars to create, expand, and improve public transportation. These findings are the result of 1,501 telephone surveys with citizens across the country. The number of applications for TIGER grants from the federal government reached 568 this year. The total amount of funding requested reached $9 billion, which is 20 times the amount allocated for the grant program. View the slideshow of signs from the National Trust that may detract from, rather than add to, the appeal of a park. Massive protests across Brazil are partially in response to a price increase for a single bus fare. Bus fares amount to 26 percent of a Brazilian’s income for those who ride the bus twice daily and make minimum wage. 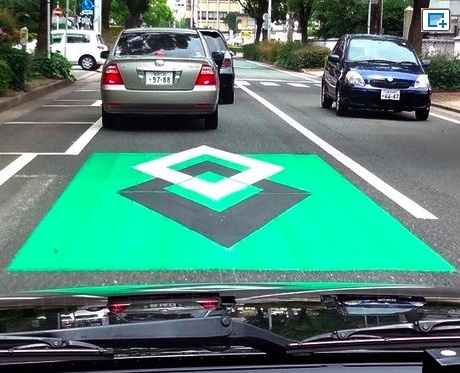 The Fukuoka police are experimenting with a virtual 3-D traffic sign to alert drivers when they are approaching a crosswalk. The sign is cheaper than installing a traffic signal and will be installed in 10 other locations by August. After an 11% cut in all tourist class tickets in February, Spain’s Ministry of Transport is reporting that ridership has risen 14% in the last four months to 4.7 million passengers.